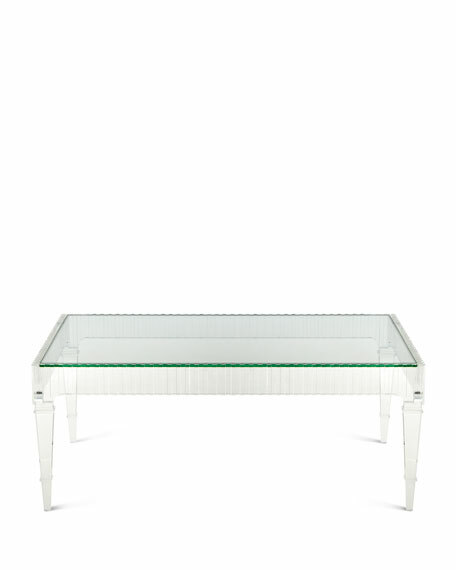 A classically shaped cocktail table with tall, tapered, clear acrylic legs topped with a fluted apron. 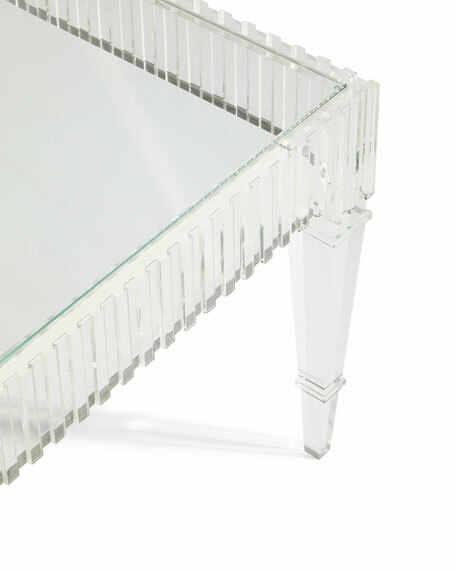 A clear glass top is inset in the acrylic apron. 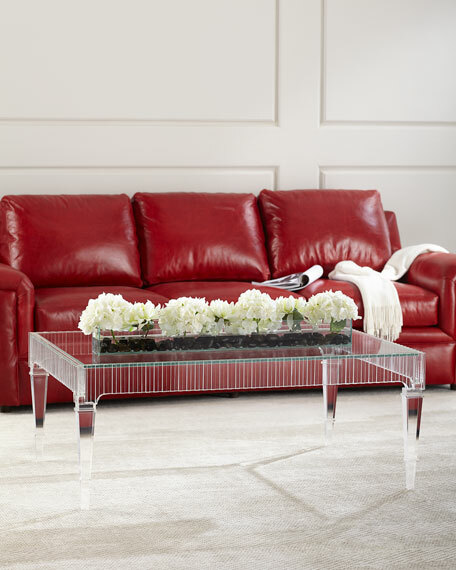 Handcrafted acrylic and glass table. 48"W x 33.5"D x 19"T.
Boxed weight, approximately 145.1 lbs. Home Fragrance No. 46, 4.0 oz.